Having a Birthday Party and YOU'RE INVITED! See what I mean? I would give the 'count' but it's classified! Anyway, you get the drift but stick around, bc I want to share something with you . Since June 17 I got serious about my plan and took off 4 pounds by July 1. 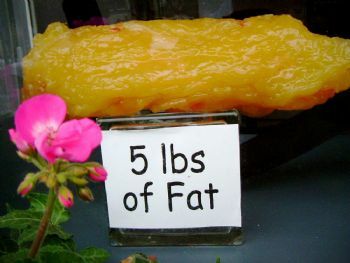 I was not able to find a picture with four pounds so just so you know, I expect to reach it soon! I will continue with this brand-new month of July but have freshened my outlook so to speak . You see for every problem there is a solution if you look for it. This is what I have been doing . I take it one week at a time . Sunday to Sunday. My goal is to aim for 1 to 2 pounds lost per week ! I make a healthy menu plan every week and stick to it . Track all my foods in advance to keep it simple . Daily exercise is essential although some days are lighter than others. There you have it. Simple as pie but without the calories! the candles. Count your blessings!" Thank you for the invite...Hope you had a truly wonderful and HAPPY BIRTHDAY! if I take it off slowly. I thank you for your motivating / inspiring blogs. Congrats on your 4 pounds gone since June 17th... that's awesome. Love your positive attitude. I hope you had a lovely birthday ! each and every one of you for making my day SO very special! …:::You are terrific! Happy Birthday. Hope you had a blessed day. Happy Birthday! Thanks for the invite. I hope it was a wonderful day. It sounds like you're doing well. Congratulations on finding what works for you and for the weight loss. 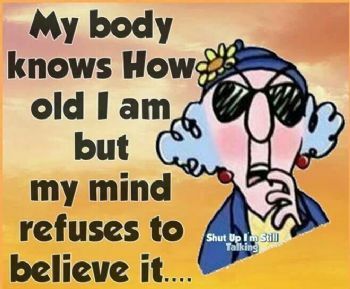 Age is a matter of mind. If you don't mind, it doesn't matter. Enjoy each and every day! Happy Birthday, and on the four pound loss! #5 is just around the corner! Oh My GOOOOOODNESSSSS.. Saving this one for sure! Keeping it simple--that's a plan I can use! Happy Birthday (belated) sorry I missed t.t. A bonfire is what every Pep Rally needs--and you my friend have the pep that inspires me! Happy birthday. Nice job menu planning and going for it. Happy Birthday!! "Don't count the candles, count the blessings" - I Like It!! Hope your day was very special! Hope you were able to put out the bonfire! Keep at it! You are doing great with the weight loss and goal plans! You go Girl! 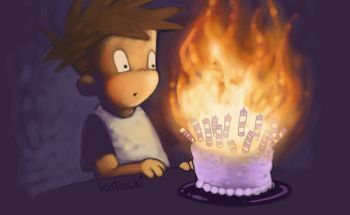 Happy Birthday, don't bother with the candles! Hoping you have lotssssssssssssssssss more! So sorry I missed your birthday yesterday Jan! Happy Birthday dear friend. I hope you had a spectacular day celebrating how absolutely wonderful you are. I am so glad to share this journey with you, so glad to have met you virtually, and hope someday we will meet in person. I can see a wonderful dinner and lots of laughter and good times. Sending hugs and love and wishes for many more happy and healthy years. Every day is a true gift and I know that you appreciate each and every one! Wishing you a very Happy Birthday and thanks for the invite. Hope it was extra special happy. And congrats on losing those 4 lbs. You are committed and you'll get where you want to be. Excellent blog, on your recent weight loss. Happy birthday! Every year, every step, every meal, every bedtime, every glass of water is a chance to give yourself the gift of health for your next birthday. GOOD FOR YOU for doing exactly that. Happy Birthday - Congrats on your weight loss. No more candles for me - but lots of celebrating. Someone here asked why I keep my age to myself : the answer is simple. No-one believes me ! And I sometimes actually get annoyed. My secret ? Sweat !!!! Wishing you many more candles and blessings! Sending a big post birthday hug! Happy birthday to you! What a wonderful gift of health you gave to yourself! I never feel as old as the birthdays indicate. wow glad i got air to help with those candles, happy Birthday to u! I wish wish you many more years in health and happiness! Thoughtful writing as always. Wish you all blessings from divine on your birthday.